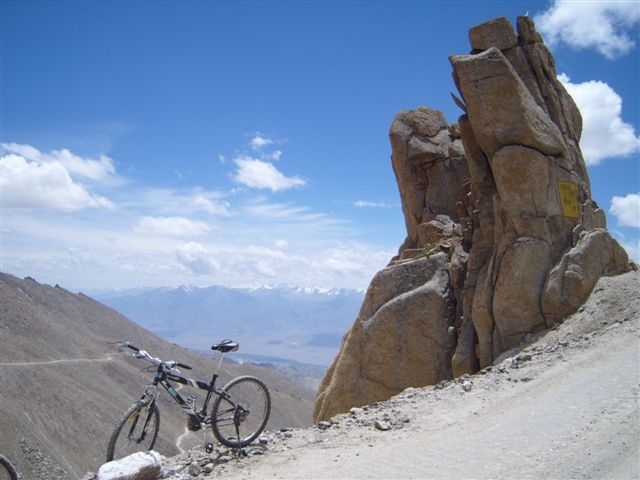 Mountain Bike Ride Down Worlds Highest Road! Hi Mum and Dad, I am really well and hoping you are too. I’m sorry I haven’t been able to send my pictures to you, but believe me I have been trying to! 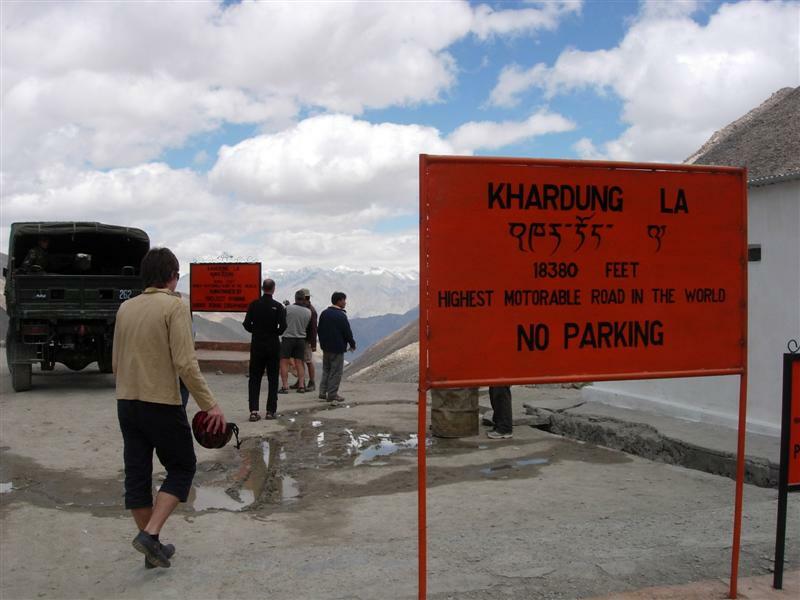 There is only a very limited connection here in Ladakh as it is such an isolated area. I asked a Tibetan friend to send you one pic early in the morning when the connection is best. He would have sent it via his account though and I think it was in large format. When I cross back over the mountains in a week or so I should have more luck with connections so I have to ask you to be patient. 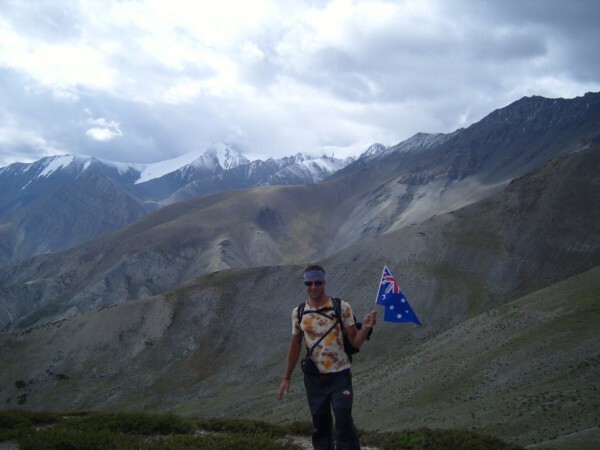 I am still staying in the small city of Leh and spending lots of time with new friends exploring the area. There are many ancient monasteries and ruins in the surrounding mountains and all have been very fascinating. 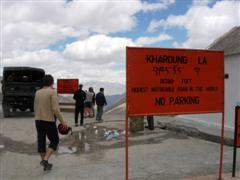 Khardung La, 18.380Ft Highest motorable road in the world.